Marketplaces and prices shown matched UPC number 013051408985 during our search. Strike up the band and get the musica started in a Silver Sequin Black Sombrero! This must-wear mariachi hat is made of black felt with white stitched designs and silver sequin accents on the crown and brim. It makes a dramatic finish to your Cinco de Mayo party or fiesta outfit! 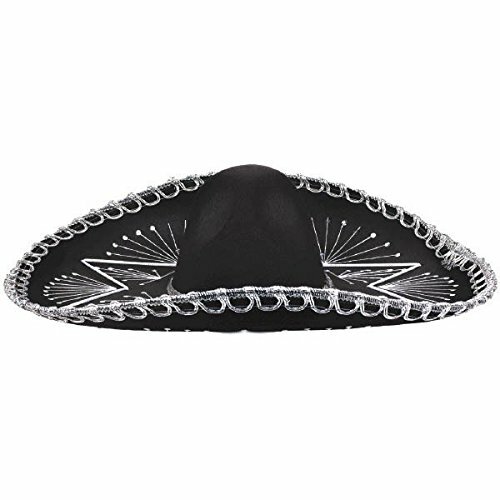 Silver Sequin Black Sombrero product details: 21in diameter x 5 1-2in tall Fabric One size fits most teens and adults Intended for adult use only. Everyone will make way for the mariachi hat! Practice your footwork and Dance to the music; get the fiesta craze started. 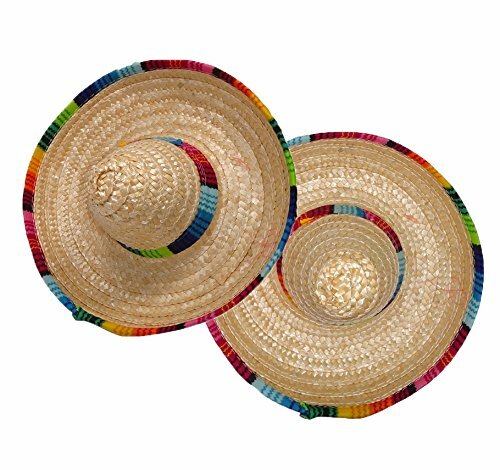 This Black fabric wide-brimmed hat is embroidered with silvery white designs for that authentic Mariachi feel. Crown your guests as you welcome them, or have one in your photo booth for fiesta-rrific photos! Dimension - 24.2 L x 21 W x 5 H in. 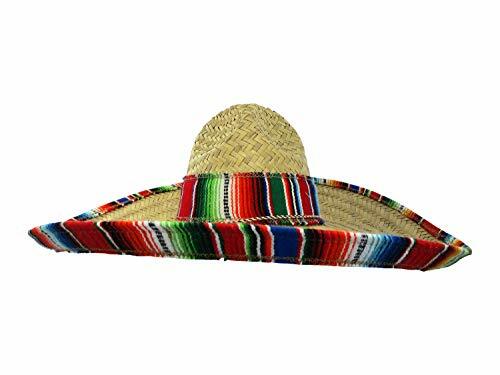 Features Sequined Mariachi Hat Material - Sequined Mariachi Hat Dimension - 24.2 L x 21 W x 5 H in. Item Weight - 0.5 lbs.